AAP is on a mission to hire qualified American Veterans in an effort to get our nations best back into the workforce and into positions that are highly valued. 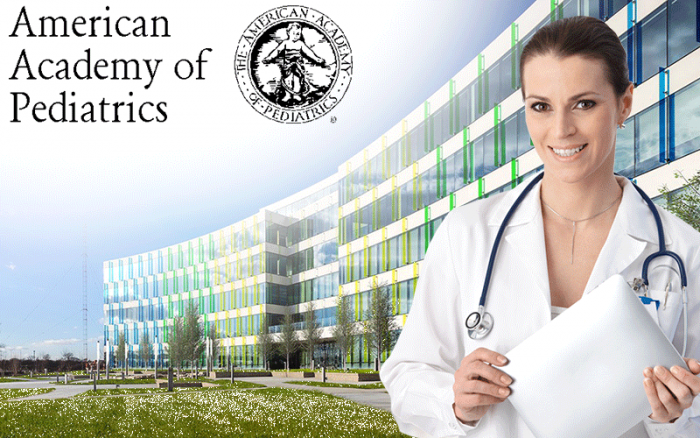 Academy of Pediatrics is an organization of 62,000 pediatricians committed to the optimal physical, mental, and social health and well-being for all infants, children, adolescents, and young adults. Whether you're looking for general child health information or for more specific guidelines concerning a pediatric issue, AAP is the right place. At AAP you'll find information regarding the Academy's many programs and activities. AAP is involved in a myriad of activities related to pediatrics and pediatricians. AAP offers to all their employees a very enticing benefits package as well. Health Insurance - Coverage is effective the first full day of employment. There is no waiting period. The Academy pays the major cost of insurance benefits for full-time employees. The Academy’s contribution towards health insurance for part-time employees is reflective of the employee’s full-time equivalency (FTE). Dental Insurance - Dental Insurance Benefits are offered through Cigna. Employees may elect single or family coverage with either a HMO or PPO dental program. Vision Insurance - Exam and materials coverage is offered through EyeMed. Flexible Spending Accounts - The American Academy of Pediatrics’ Flexible Benefits Program will help employees stretch their budget for eligible out of pocket health and dependent care expenses by allowing payment for these expenses with tax-free dollars. 401(k) Plan - Securian Retirement Services manages the AAP 401(k) Plan. Click Here To View And Apply To All Of AAP's Available Positions!